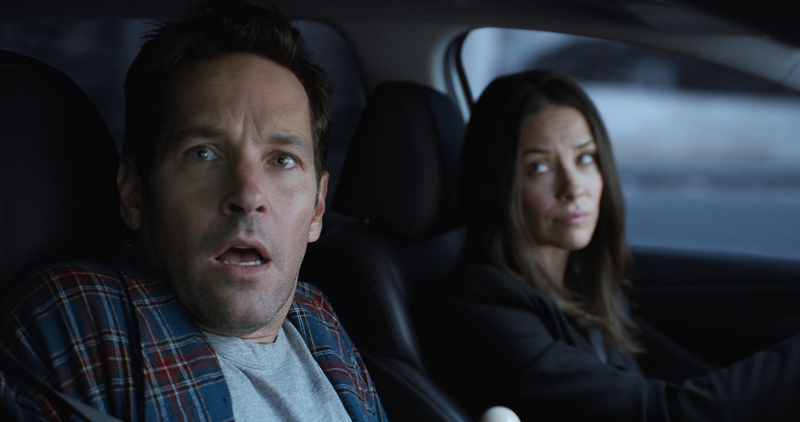 Aaron Neuwirth reviews Ant-Man and the Wasp, the superhero sequel that takes a break from huge stakes for a much funnier ride through blockbuster world. 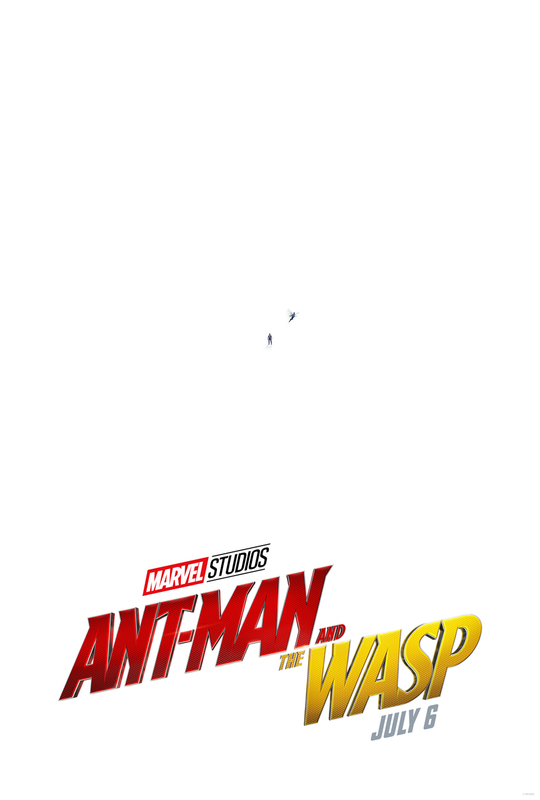 I enjoy what Marvel Studios has done with these Ant-Man films. 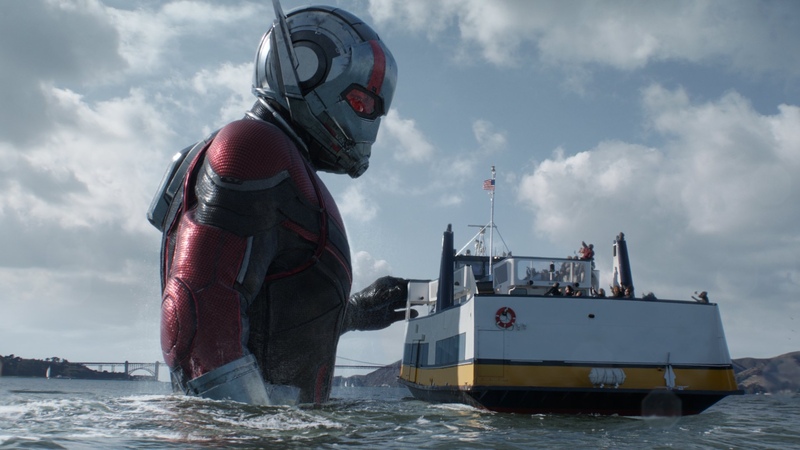 Much like its predecessor, minus the behind-the-scenes drama, Ant-Man and the Wasp arrives a couple of months after another Avengers epic and offers refreshingly small-stakes thrills and a lot of laughs. Without having to stick to the confines of an origin story structure this time around, this lighthearted sequel manages to push into its zaniness right away, with a better handle on character, action, and the aforementioned humor. Following another flashback prologue to show further just how just how great this de-aging technology can be, things kickoff a couple of years after the events of Captain America: Civil War. Scott Lang (Paul Rudd) is on house arrest after joining Team Cap in Germany and unleashing Giant Man. 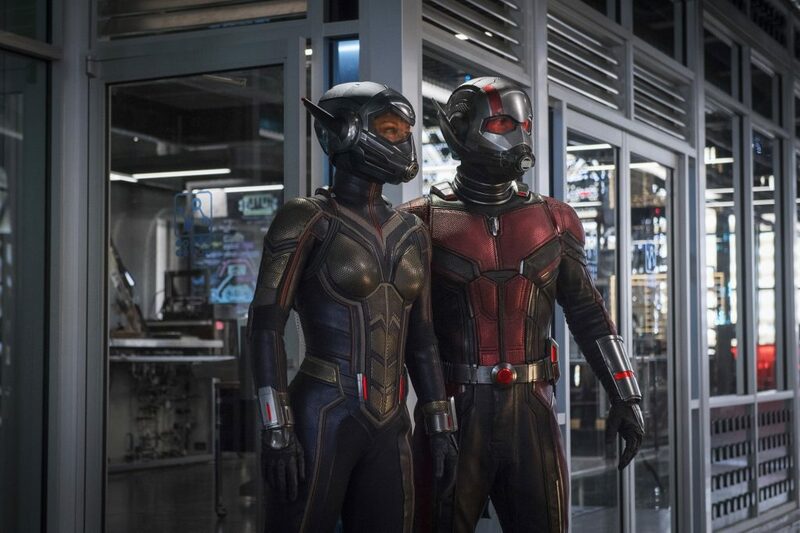 This put Scott on the outs with Hope van Dyne (Evangeline Lilly) and Hank Pym (Michael Douglas), who are now fugitives due to their technical involvement in violating the Sokovia Accords. 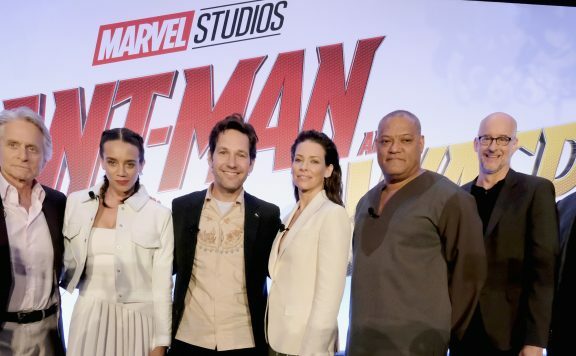 If that MCU lingo bothers you, just know that Hank and Hope will need Scott’s help, but challenges soon arrive in the form of a low-level criminal Sonny Burch (Walton Goggins) and the mysterious Ghost (Hannah John-Kamen), among others. Regarding plotting, there is a lot to like here. While the first film tried to channel the spirit of a heist film, it never felt like the genre appropriation was working as clearly as we’ve seen in the other MCU films, such as the Captain America: Winter Soldier’s Tom Clancy inspirations, the space opera that was Guardians of the Galaxy, or the high school movie that was Spider-Man: Homecoming. Ant-Man and the Wasp really feels like a chase movie. It’s a comedy first, superhero film second, but the structure is based around a couple of days on the run (Scott has to basically help save the day but get back to his home before officials come to remove his house arrest ankle bracelet). So, there’s a ticking clock element, which helps the film never let up in pacing. 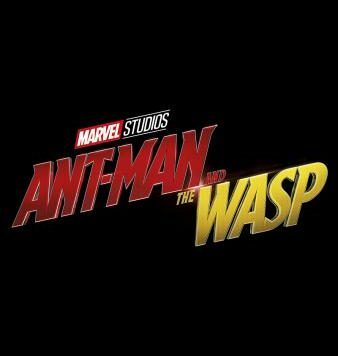 At a swift two hours (under the average as far as superhero flicks go these days), director Peyton Reed and the credited five writers (including Rudd) do their best to cram in as much as they can to deliver astonishing things for Ant-Man and the Wasp to do. Whether or not that many people are needed to write an Ant-Man movie (and to be fair, lots of uncredited writers handle nearly every blockbuster film), it is a benefit to the film that the tone never feels betrayed. There’s some drama that unfolds, sure, but this is as loose as it gets for a cinematic universe that continually finds the world/universe in peril. There’s a lot of fun to be had in seeing how this film properly manages a character that can both shrink and grow. That in mind, Rudd plays second fiddle when it comes to the action, compared to Lilly’s Wasp, who gets her time to shine. Equipped with wings, blasters, and a more intense attitude, it’s less about quips when it comes to her fighting style. The fact that Lilly is upgraded to co-lead and the film has no need to make any sort of deal out of it is all the more reason go with it. Together, the two engage in a variety of innovative action sequences, including a killer car chase where vehicles constantly shrink and expand again (and given that we’re in San Francisco, I guess that makes this film the MCU’s Bullit). The non-action dynamic between Rudd and Lilly continues to be a winning combination as well, if not especially deep, but Ant-Man and the Wasp knows how to use the ensemble cast to its advantage. To that point, Michael Pena is doing Oscar-worthy work here. No kidding. The guy is a ball of fun required to make exposition not feel like a chore, and he goes above and beyond to make that work. Give him and his crew of ex-cons, a returning Tip “T.I.” Harris and David Dastmalchian, their own spin-off series on Netflix. They are a blast. The rest work as well. Douglas gets some added depth, which is welcome, as it feeds into the MCU’s Phase 3 theme of sins of the fathers coming back to haunt the current state of things. Hank’s portion of the plot is all the more effective because of Michelle Pfeiffer’s presence as Janet van Dyne, Hank’s wife who has been lost in the Quantum Realm, and the nature of John-Kamen’s Ghost. 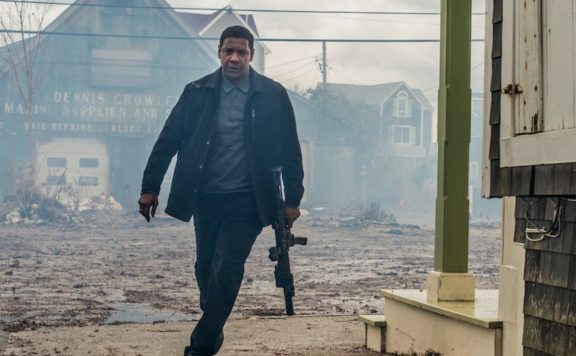 Each of these characters, along with Laurence Fishburne’s Bill Foster, for related reasons, play into the overall stakes of the film, which are actually about personal survival, as opposed to world-threatening destruction. In the midst of wild special effects and acknowledgment of just how looney the world of Ant-Man is (let’s not forget the telepathic connection to ants), things manage to feel somewhat grounded. That goes the same for our hero. Scott’s family life uniquely benefits him. He’s a better man now than in the last film and is actually encouraged to be a hero, rather than scolded by his daughter Cassie (Abby Ryder Fortson) for choosing the suit over her. 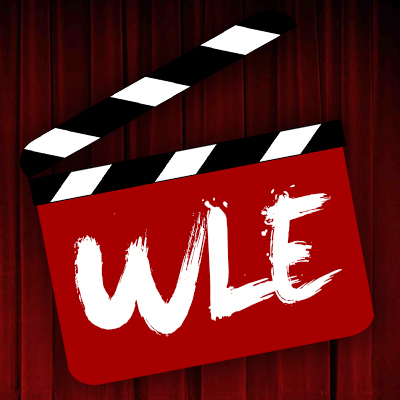 Even with an underused Judy Greer and Bobby Cannavale as Scott’s ex-wife and her current fiancé, we find a situation where no one is squabbling over whether or not to choose superhero life when it comes to doing what’s right. And having Randall Park in the playful role of a committed FBI agent constantly checking in on Scott doesn’t hurt whatsoever. Remember, the emphasis on comedy is in full effect. If there’s anywhere Ant-Man and the Wasp trips over itself, it is in the over-explanation of the science involved when it comes to the Quantum Realm and all of that business. The film is already having the sort of fun that allows Scott to pause a villain’s monologue to take a phone call from his daughter, so my concern for what logic allows super shrinking to happen is not very high. It also takes time away from doing more with the new characters that could humanize them a bit more, rather than just folding them into the fast-paced plotting. 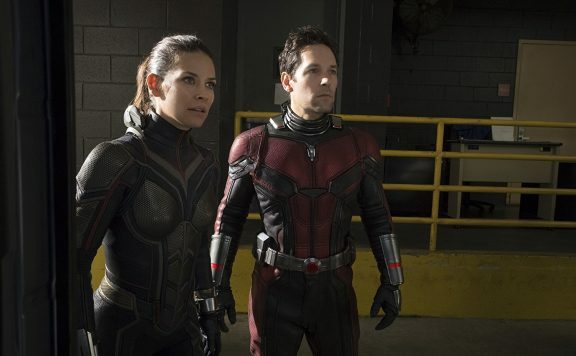 For all that seems to be expected from the MCU’s silliest series, Ant-Man and the Wasp ultimately delivers what it needs to. As a break between epic installments of Avengers films and what will likely be a significant chapter in this universe when it comes to next March’s 90s-set Captain Marvel movie, a superhero film that has Paul Rudd goofing around with high tech Hot Wheels cars and other clever gags is fine. The movie is very funny when it wants to be, and finds plenty of neat tricks to exploit, given the nature of the abilities of these characters. It’s another satisfying Marvel Studios film, with hardly any focus on connections to the other films. That’s enough for a fun trip for everyone, big and small.